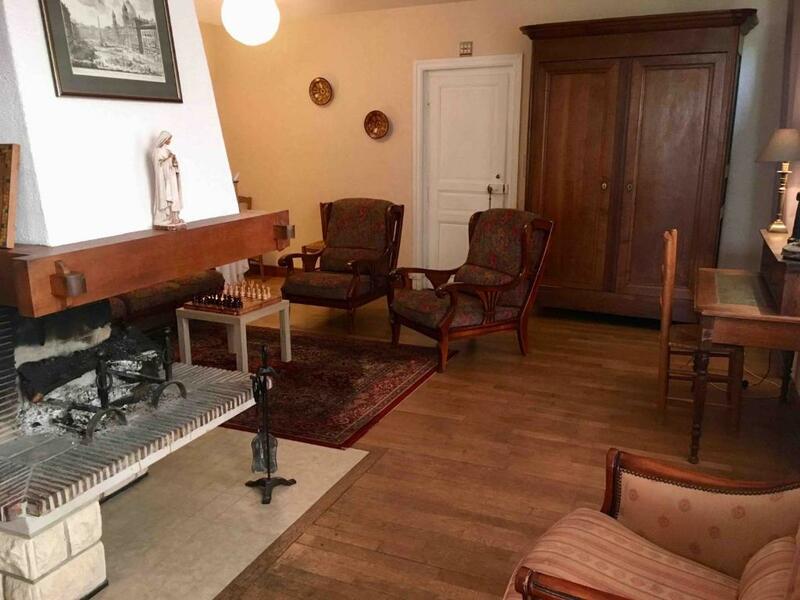 Located in Carrouges, La grande maison de Carrouges has accommodations with barbecue facilities, free WiFi, a shared kitchen, and a shared lounge. Guests staying at this vacation home can use the fully equipped kitchen. The vacation home consists of 6 separate bedrooms, 1 bathroom, and a seating area. The vacation home has a playground. A terrace can be found at La grande maison de Carrouges, along with a garden. Bagnoles de l'Orne is 14 miles from the accommodation. The nearest airport is Saint-Gatien Airport, 59 miles from La grande maison de Carrouges. 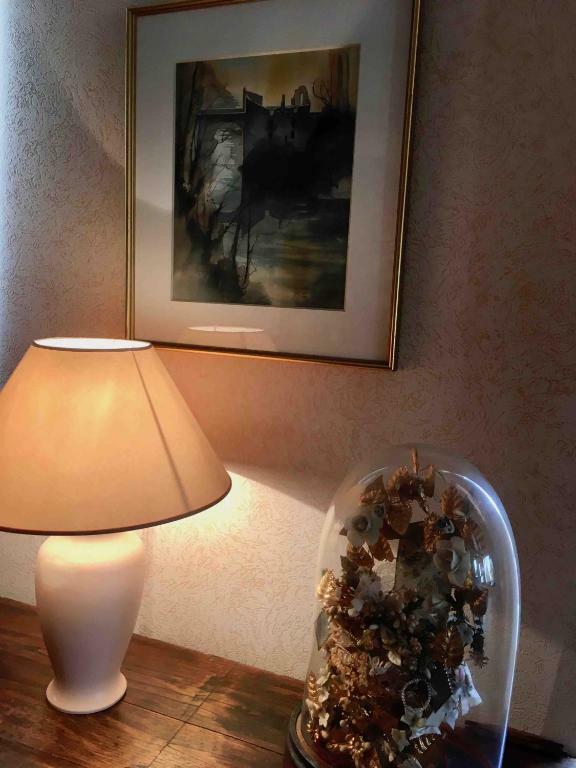 When would you like to stay at La grande maison de Carrouges? 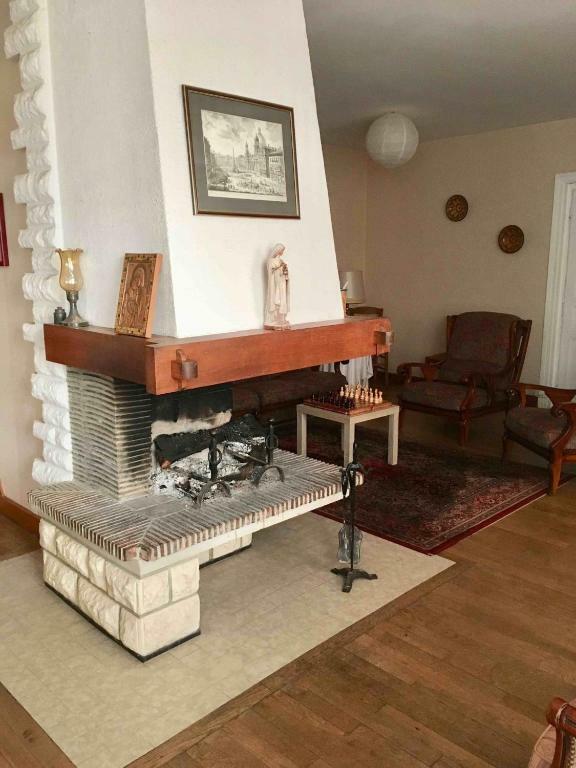 This holiday home has a dishwasher, stovetop and electric kettle. En plein centre du bourg, tout en bénéficiant du calme de la ruelle et du jardin clos. 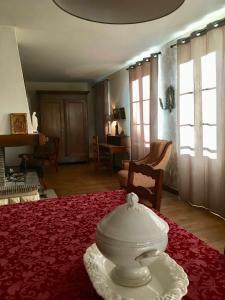 La maison se prête merveilleusement aux réunions de famille ou d'amis avec ses 6 chambres, sa grande cuisine et sa salle à manger ouverte. Depuis le salon la grande baie vitrée vous permettra de surveiller les enfants dans le jardin tout en restant causer confortablement avec les amis. En venant chez nous, vous serez à 2 pas de la boulangerie-pâtisserie qui vous fournira d'excellents croissants et gâteaux, vous pourrez vous dépanner auprès de l'une des 2 supérettes situées dans la rue voisine et n'aurez qu'à descendre la rue pour visiter le château de Carrouges, la Mason du Parc Régional Normandie-Maine ou l'extraordinaire jardin de "la ferme ornée". Vous pourrez préférer rester au coin du feu ou randonner dans les chemins creux qui quadrillent le bocage voisin. House Rules La grande maison de Carrouges takes special requests – add in the next step! Please inform La grande maison de Carrouges of your expected arrival time in advance. You can use the Special Requests box when booking, or contact the property directly using the contact details in your confirmation. We need at least 5 reviews before we can calculate a review score. If you book and review your stay, you can help La grande maison de Carrouges meet this goal. When we booked it said free wifi but there was none . Also there were only 2 of us but for some reason the online site booked for 4 (which could be why it was not good value ) I tried to change it on the Booking.com site, but couldn’t . Also no sheets or towels in the house !!! My husband noticed that there were no sheets while we were being shown around but we didn’t notice that there weren’t any towels until after he had left and as we had no phones (because we had no wifi!) couldn’t contact him. I looked through the information online and nowhere did it mention you would need your own linen. So this needs to be amended on the booking site. We chose the property for its location and it was in a beautiful old town and the Château was lovely. 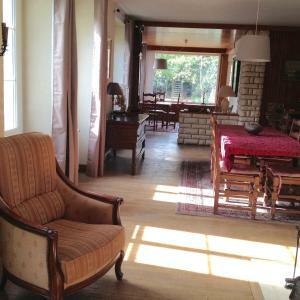 If you were travelling with a group and staying for several days it would be a fantastic grande Maison to stay in.